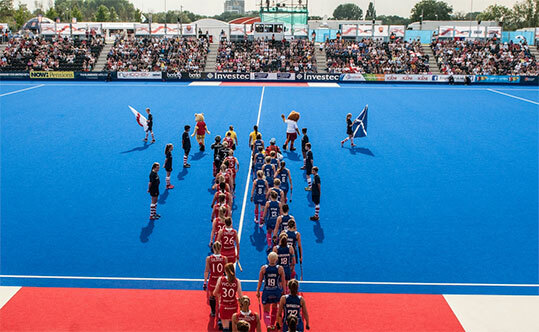 Host nation England have made it into the women’s Final tomorrow at 4pm versus the Netherlands, and the final few tickets are now being sold for the grand finale. Saturday’s men’s final is between Germany and the Netherlands, it’s sold out but we are selling ground passes on the door so you can soak up the atmosphere in the fan park and watch the action on the big screen. We will also do ground passes for the Women’s Finals day on Sunday when the arena seating is sold out, see TicketGum.com for more details. Be the first to hear about ticket offers and news by signing up to the Unibet EuroHockey Championships 2015 newsletter. By signing up to these newsletters you agree to the terms and conditions of the relevant organisation’s newsletter policy. Prices include booking and handling fees. All times are BST.